Following his solo exhibition “The Twisted Odyssey”, which took place in London, Konstantinos Patsios presents his new series of works titled “The Lost Parthenon”, at Melkart Gallery, in Paris, in April 2016. The exhibition is curated by Leonie Gavrias. In Konstantinos Patsios’ work, childishness goes hand in hand with violence, while sarcasm implies sensitivity. Various heterogeneous symbols converse with each other, adding meaning to materials embedded in rich layers. 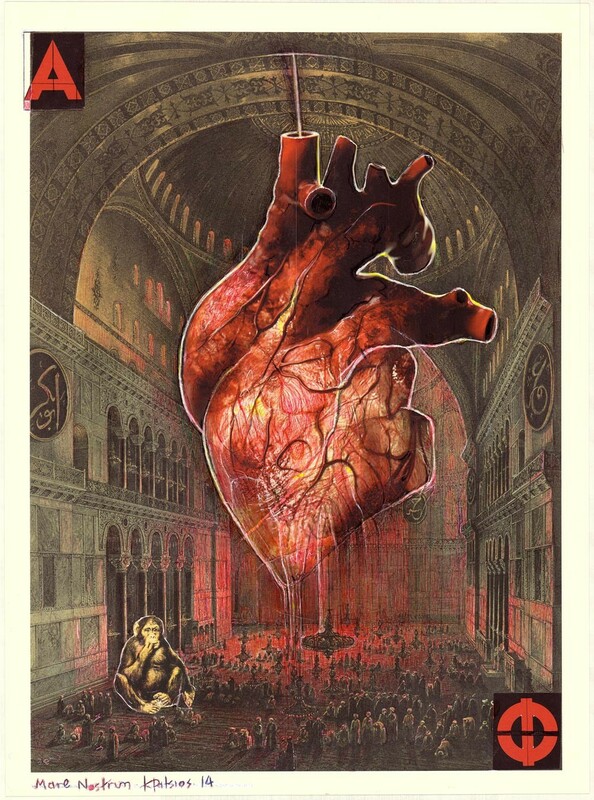 The artist depicts a world that is full of contradictions and surprises. 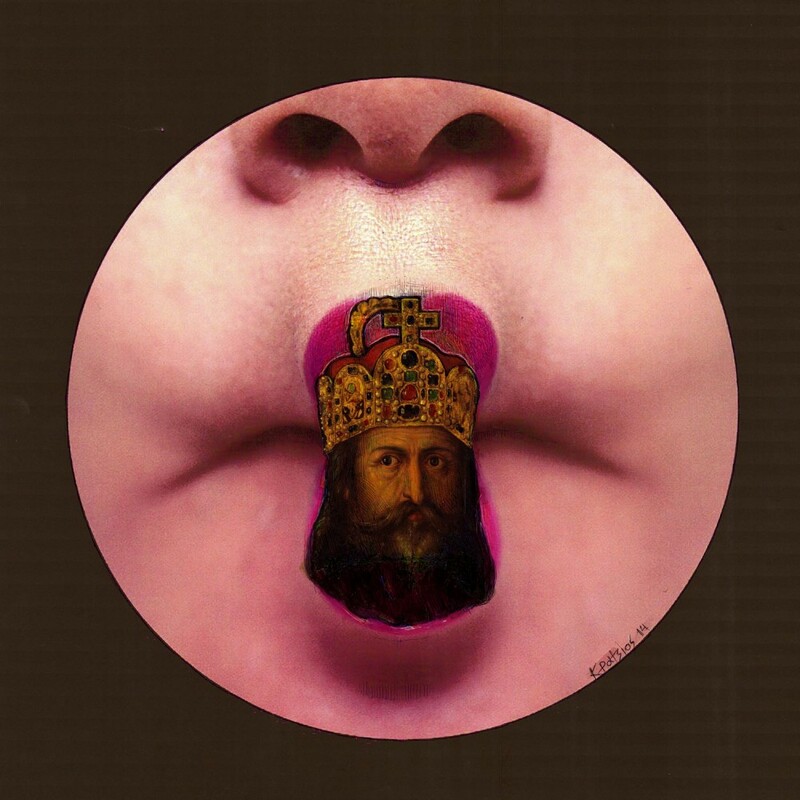 Painted-over collages and ready-made objects are combined with the unexpected use of seemingly incompatible elements and symbols, resulting in the reveal of ultimately complete forms. In the series “The Lost Parthenon”, the well-known artist presents artworks, which can be distinguished by a tendency to deconstruct history, through a palimpsest of contrasting images. In an era of religious fundamentalism and polarization, the Parthenon is identified with the lost innocence of western civilization; in the context of aesthetics, the Parthenon, expresses the timeless necessity for a transition from theocracy to anthropocentrism. 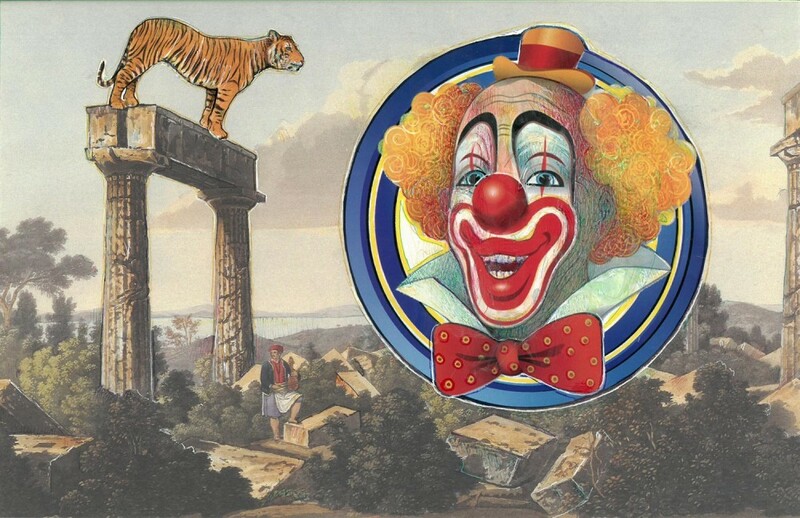 Ancient temples and piers, human parts, harlequins and cartoon characters, all construct a hybrid world both sinister and idyllic, a new Arcade. The viewer however, is not called to decrypt those symbols, but to enter the new environment created, to dive in the artistic simulation of the world as it is experienced by Patsios: ominous, yet romantic. Born in Athens, Konstantinos Patsios completed his studies at the Athens School of Fine Arts in 2007, while he has also completed a course at the Rhode Island School of Design, in Boston. Since then he has had six solo shows and has participated in many group exhibitions both in Greece and abroad. 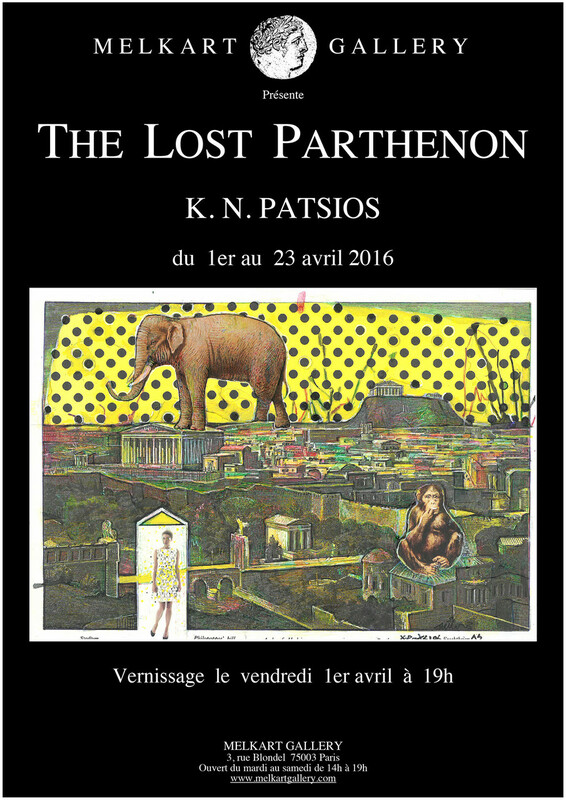 “The Lost Parthenon” exhibition will take place at Melkart Gallery, in Paris, from the 1st until the 23rd of April, 2016.